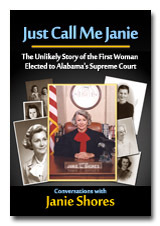 Janie Shores, the first woman elected to Alabama’s Supreme Court, may be one of the most important people you’ve never heard of, because many of the cases she worked on in the social upheaval of the 1960s and 70s shaped the key debates of today’s divisive politics. Janie defied considerable odds and broke all the traditional social molds of her time to become an outstanding inspiration to her law school classmates and ultimately the first woman justice elected to the Alabama Supreme Court. Her remarkable career spanned some of the most turbulent times in U.S., and particularly Alabama, history. 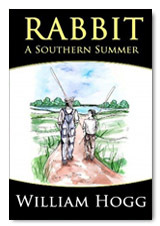 Palmer has created a uniquely Southern style in telling this story without losing the truth of Wallace’s many moral and political contradictions that made him the ultimate prodigal son of politics in the deep Souh. 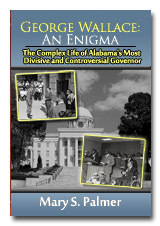 George Wallace: An Enigma by Mary S. Palmer, is an interpretive glimpse into the life of Alabama’s most complex and divisive Governor. Wallace was in the forefront of serious segregation issues facing Alabama and the United States in the second half of the twentieth century. The book shares how he dealt with those issues; as Alabama’s Governor, a candidate for the presidency, and as a survivor of an attempted assassination. It addresses unequivocally his supporting of white supremacy, a reminder that half a century ago extreme prejudice did exist. Water fountains, soda fountains and restrooms and schools were all segregated. George Wallace did what was politically expedient at the time, opposing any form of desegregation, galvanizing a deeply divided nation. Although never condoning Wallace and what he stood for, the book explores the complexities of a man who exploited the times for his own aims, and yet deeply regretted doing so later in life. George Wallace; An Enigma, for the first time paints a complete, never before known portrait of the man who was at the forefront of civil rights obstructionism and ‘Good ole Boy’ politics. Mary Palmer is a native Mobilian and I teaches English at Faulkner University , Faulkner State Community College, and a member of Huntingdon College adjunct faculties. She has numerous books published in several genres–science-fiction; true crime, novels, fantasy, and biographies. 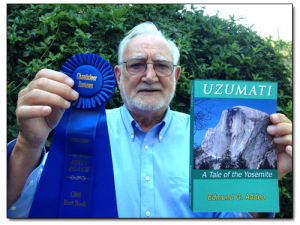 A epic of little-known Western events spanning almost 3,000 years, UZUMATI is the history of the discovery and habitation of the beautiful, legendary Yosemite Valley, first by migrating Indians and then by white ’49ers of the California Gold Rush. Uzumati (u-ZOO-ma-tee) is the Miwok Indian word for “grizzly bear”. 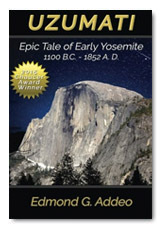 White settlers couldn’t pronounce the native name, and it came out “Yosemite”. Ultimately, the primary characters of this remarkable saga, the wily, ancient Chief Tenaya and the dashing young Jim Savage from Illinois, clash in a thrilling but tragic battle known as The Mariposa Indian War of 1851. He was just an average college student who didn’t mind having a drink once in a while. Pursuing girls and a good time seemed to always be the dominant forces of his college life. One day a girl entered his academic routine and his fixation on her led him to an ancient destination. Once there, an incident changed something in him resulting in an unwanted ability to see things nobody else could. On his search for answers, he enlists the help of The Brain, The Muse and The Brute who slowly start to realize he might actually be telling the truth about what he believes he’s seeing. Finding purpose in it all might be beyond any of their comprehensions. 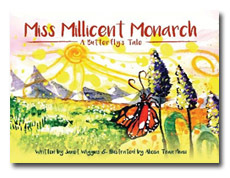 This is the wonderful story of Millicent, as she hatches from an egg her mother had laid into a tiny caterpillar. She eats and eats and grows and grows and eventually transforms into a beautiful monarch butterfly. It tells the story of her friendship with a lovely lop-eared rabbit and her journey deep into the forest of Mexico. It is a book designed for children ages 7-9, as a read-aloud, for those who are just learning about the miracles of nature. Beautifully illustrated. 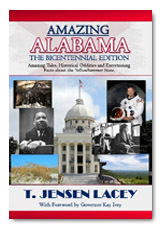 One of ten “must reads” books recommended by the Alabama Bicentennial commission. This book takes the reader on a journey to all 57 counties and shares their unusual and unique historical and cultural contributions to the ‘Amazing’ State of Alabama. 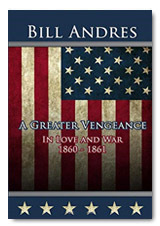 This is a fast-paced story of intrigue, adventure, romance, and tragedy in the lives of three families as the curtain of sorrow and treachery fall on a country soon to be divided against itself. This book is fiction. What else could it be. I’ve killed a bunch of brain cells over the last sixty years, so can’t remember every event and every conversation. Saying that, I can tell you that the characters and settings are real. The main character was my best friend, Virgil Gates, universally known as Virge. I suppose a strange friendship as Virge was eighty-eight when I first met him and ninety during that summer. 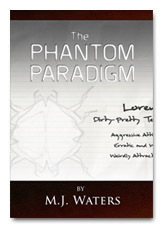 My brother is another character, as close to a protagonist as you’ll find in this book. He’s certainly real and now resides in Pullman Washington. I love him today but wasn’t so sure back then.I am sure about Virge. 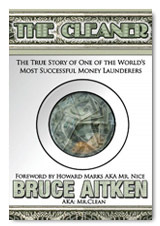 In the 1980’s Bruce Aitken became one of the world’s most successful money launderers…. Learn the truth behind the Lockheed Scandal, Cessna-Milner affair, Nugan Hand scandal and one of the largest drug busts in US history that brought the party to an end. This book is a celebration of being different yet sharing emotions that we all feel. 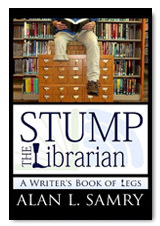 Oh, and there are interesting historical legless factoids with which to wow your friends. R.S. The true story of an adopted boy who grew up to become a world renown doctor, acupuncturist and healer. This is his story of growing up and discovering who his biological parents were and how his life changed – for the better – because of his new parents. 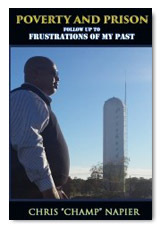 This memoir narrates Napier’s story as he navigates a childhood of poverty in Prichard, Alabama; serves more than a decade and a half in prison; and transforms his life by becoming Muslim and devoting his life to Allah. n a Union POW camp, Jeb and Zach dreamed of California Gold, but the road West leads Jeb to his sis’s home in Texas. They ride home to find a border war raging on the Rio Bravo near Eagle Pass TX! Cattle rustled! Ranches burnt! Innocents killed or kidnapped! Juan Cortina holds a grudge against the Yankees, and he lets his younger brother, Miguel, ride roughshod along the Rio. 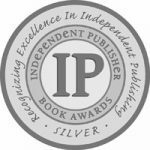 Silver Medal Winner IPBA book of the year! 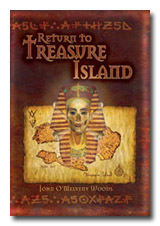 Return to Treasure Island is… a first class sequel to the original beloved novel by Robert Louis Stevenson. John O’Melveny Woods has skillfully drawn us back into the life of Jim Hawkins in the most successful way imaginable. “Three years after his triumphant return from Treasure Island, Jim Hawkins learns that Long John Silver has been captured and sentenced to hang. Jims’ fateful decision to help Silver ultimately propels them into a search for the greatest treasure of all – The Pharaohs Gold. A cryptic map, secret codes and puzzling clues all lead back to Treasure Island, where courage, cunning and mutual trust are the only weapons that can save Hawkins and Silver from a horrific death and help them in their quest for the Treasure. Written in first person narrative, the book blends the cadence and style of the original Treasure Island while introducing memorable new pirate characters and locations. 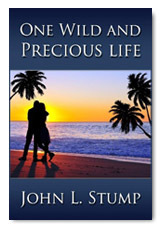 Additionally, a coming of age love story interweaves the adventure. 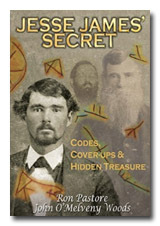 The popular History Channel Special ‘Jesse James Hidden Treasures’ is based on this book and was written and Executive Produced by author John O’Melveny Woods. A chance discovery in 1985 leads an historical researcher on an adventure that reveals startling new evidence shattering the formerly accepted version of the life and death of the world famous outlaw, Jesse James. The real motives for Jesse James robberies. How an obscure autopsy report proves the previously promoted facts surrounding the death of Jesse James are lies! The fact there were actually three men named Jesse James. How diaries written in Jesse’s hand help to unlock a massive conspiracy. The never before revealed secret organization that Jesse and his gang belonged to. How modern day CSI techniques helped unravel this 125-year-old cold case mystery and conspiracy! For the first time, Jesse James’ Secret reveals the true story of the enigmatic outlaw to the world. A mysterious fragment of an ancient tablet surfaces and finds its way into the hands of modern day archeologist Diandra Weiss. 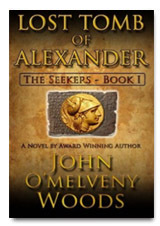 She recognizes it as the missing half to The Alexander Tablet that could lead her to the Monarchs’ missing tomb. Chance brings together a retired MI6 cryptographer, a graduate student of ancient languages, and Diandra’s former Special Forces not-so-ex-husband as they search for the other half of the tablet presumed lost in WW II. They band together as The Seekers, dedicating themselves to finding the missing tablet and ultimately to discovering the legendary tomb itself. Along the way they face obstacles that nearly doom their mission, including death threats from a sinister group within the Vatican known only as The Guardians, and a strange benefactor who is as interested as they are in the tomb’s discovery. Their search leads them to discover that our ancestors left messages for us around the world that must be uncovered and deciphered before it is too late to save the world from major catastrophes. The tumultuous years of the1960s were more than extraordinary; they were without parallel. From rock and roll to the space program, from drugs to free love, from the Vietnam War to the assassinations of beloved leaders, from civil rights to equality for women, the events of the 1960s forever changed an entire generation. The Crusaders is a collection of 1960s stories… that ignores most of that. 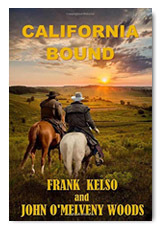 Instead, it’s about a group of friends who grew up in a bedroom community near Los Angeles, California, during those seminal times. From pubescent naiveté to the experimenting of curious minds, The Crusaders takes the reader through the 60s from the youthful points of view of these friends with warmth, humor and good-natured fun. 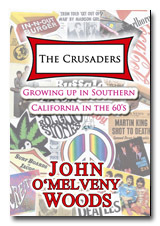 The Crusaders both celebrates the freedom of the 60s and also exposes the dangers and unintended consequences that befell them as the young friends, slipping deeper into the uncharted waters of the times, paid dearly for their actions. At its heart, The Crusaders is about the friendship, loyalty, and love for each other that anchored the young friends, enabling them to navigate those challenging times and come through the chaos to healing. 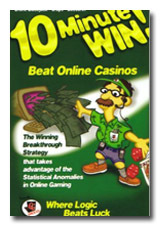 Written by a former Microsoft Geek who wants to remain anonymous, 10 Minute Win shows you how to make a little bit of money every day from online casinos. Written in a conversational way, the ‘Gamblin Geek’ shares his secret of a little known way to exploit the casinos. Banned in the US until recently, it will soon be available in print and as an e-book. The Mole II featured 10 players, 2 continents, 4 countries, 34 cities, 28 days, 65 different hotels, 15,000 miles of travel, and 16 modes of transportation, including planes, helicopters, buses, vans, boats, motorcycles and horses. Oh, and up to $1,000,000 possible prize to the winner. The Mole was taped from September 19 through October 17, 2000, and premiered Tuesday, January 9 at 8PM on ABC. The international mystery adventure series was hosted by former ABC News correspondent and current CNN host Anderson Cooper. Written by Bill McDaniel, who was ultimately revealed to be the Mole. This book is his personal account of how he was chosen to play this role, and of how he pulled it off. 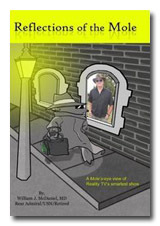 Never before has anyone been able to bring you behind the scenes into what actually went on during the filming of a reality show – especially one as well thought out and smart as The Mole. Funny, poignant, full of insights and tension, ‘Reflections of The Mole’ is the closest you’ll ever get to actually being a contestant on a reality TV show without being there.